Julie Hellberg returns to Harrington, Ocko & Monk as an associate in the Insurance Defense practice group after working as a defense attorney in a large house counsel firm for the past several years. Julie’s defense experience includes all manners of tort defense including construction site accidents, premises liability, products liability, civil fraud, and automobile actions. In the past several years, Julie has provided consistent high-quality legal representation to major not-for-profit institutions in New York in complicated premises liability matters, construction site accidents, structural building code violations, and false arrest and imprisonment cases. Julie has also defended a number of prominent construction companies and property owners against personal injury suits. Additionally, she has successfully transferred risk from her clients pursuant to both contractual indemnification obligations and other insured provisions, as well as obtaining reimbursement of legal fees and expenses expended to defend the case prior to the tender acceptance. Moreover, Julie views the use of discovery, motion practice, settlement discussions, tenders of defense and indemnity, and third party actions as strategies to achieve optimal results for our clients while minimizing delay and expense. Also experienced in the motion and appellate processes, Julie has briefed and successfully argued several motions and appeals in all four New York Appellate Departments. Julie resides in Connecticut with her husband and two children. 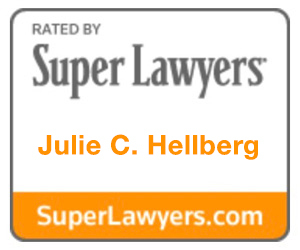 When not lawyering, Julie escapes to the undersea world on scuba diving adventures. In a potentially high exposure Second Department matter, successfully argued for the reversal of a lower Court Order which granted summary judgment to Plaintiff. In reversing, the Second Department held that building code violations asserted by plaintiff were inapplicable as they post-dated the construction of the Parish Hall stairs in question. It further held that the Parish was entitled to defense costs under the indemnification provision in the commercial lease as its broad indemnification provision was triggered on an “arising out of use and occupancy” basis and as the lessee was required to name the Parish as an Additional Insured. Thus, the indemnification provision did not violate GOL § 5-321 notwithstanding that it purported to indemnify landlord for its own negligence. Successfully obtained a dismissal of a personal injury action where Plaintiff revealed at deposition that she had filed for bankruptcy prior to the lawsuit without ever listing a possible asset – her lawsuit against our Clients – in the bankruptcy petition or an amendment, and failed amend the petition even upon commencing the action. Obtained an order of dismissal of a construction accident action where the Plaintiff was deemed to be the sole proximate cause of the saw accident which severed his index finger. To wit, Plaintiff transformed an old circular saw he owned into a make-shift table saw by bolting it upside down on a piece of plywood with a slit cut into it. Needless to say, even if the saw had not lost its blade cover years before, no blade guard would have worked in this contraption. Successfully argued that Industrial Code § 1.7 was inapplicable to the trip and fall accident where the rebar dowels protruding from the face of an unfinished concrete sidewalk on which plaintiff stepped and was injured constituted neither debris, scattered materials, nor a laceration risk. The Court thus dismissed plaintiff’s Labor Law § 241(6) claim.